When is a gun not a gun? 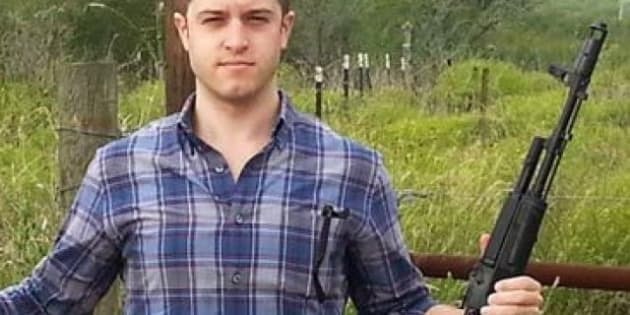 According to 25-year-old Defense Distributed founder Cody Wilson — the “wiki weapon” guy about whom you will one day be hearing a lot — that would be when it’s a file, even if that code can be downloaded into a 3D printer that (eventually) produces an undetectable and untraceable firearm. The takeaway from SXSW Interactive, the massive annual technology conference in Austin, Texas, is that this year got away from social media (finally) and started delving into the physical realm, in particular the coming 3D printer revolution. But for all the wonderful possibilities that we were told this new technology portends, there was one which was somewhat more ominous — the creation of 3D printed guns. Now here’s the thing about Wilson. He seems to be an extremely intelligent law student, well-versed in political and philosophical thought (even quoting 19th-century French thinker Pierre-Joseph Proudhon) as well as the intricacies of technology that would make most of us blanche. He is also a self-declared anarchist and a lover of firearms. He will probably be underestimated, and that perhaps will be at our peril. Wilson’s SXSW talk, which featured just him and some slides, attempted to lay out the relatively short lifespan of the so-called wiki weapon project. A 3D printer is able to digitize an object and then rebuild a replica of that object using resins and polymers. Defense Distributed began as, essentially, a “university project” but once Wilson got push-back, it went from being a hobby to being a serious undertaking. He recounts how a major 3D printer company rented him a high-end machine and then, when they found out what he was using it for, not only took it from him but criminally referred him to the the bureau of Alcohol, Tobacco and Firearms. “They didn’t just try and put a kibosh on my project, they tried to mortally wound me,” Wilson said, sounding as bitter as you could imagine. In the process, it seems, they turned what was something of a lark into a life’s mission. Though crowdfunding site IndieGoGo took Defense Distributed’s gun-printing project down after complaints, they still managed to raise $20,000 via Paypal, proving that this is more than the work of a, shall we say, lone gunman. “Not only can we be successfully defensive with this project, that we can pivot and wrap around the laws quickly, but we realized we can actually go on the offensive with this project,” he said. He noted his reason for naming the printable magazine software after Dianne Feinstein — the democratic senator who spearheaded the 1994 assault weapons ban — was that he hoped to associate the two forever. “That’s power,” he said. What was perhaps most disquieting about Wilson’s talk was how much he sounded like the kids who founded Napster, except of course that, despite occasional claims against heavy metal, nobody believes music can kill anyone. Guns, not so much. But Wilson, in his evangelism, refuses to acknowledge that even as he boasts that once his tech is proven and let loose in the wild, that genie won’t go back in its bottle.